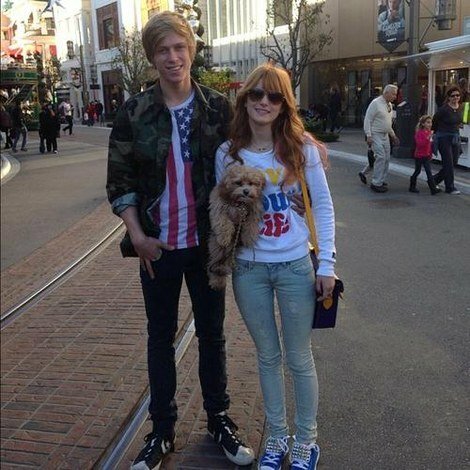 Photo gallery of actress and singer Bella Thorne wearing various pairs of high top chucks. 1 Bella Thorne Bella wearing optical white high top chucks. 2 Bella Thorne Bella wearing optical white high top chucks. 3 Bella Thorne Bella wearing optical white high top chucks. 4 Bella Thorne Bella wearing brown high top chucks. 5 Bella Thorne Bella wearing orange low cut chucks. 6 Bella Thorne Bella wearing black and white animal print high top chucks. 7 Bella Thorne Bella wearing black and white animal print high top chucks. 8 Bella Thorne Bella wearing optical white high top chucks. 9 3366094mBella Thorne Bella wearing black high top chucks. 10 Bella Thorne Bella wearing optical white high top chucks. 11 Bella Thorne Bella wearing brown high top chucks. 12 Bella Thorne Bella wearing black high top chucks. 13 Bella Thorne Bella wearing optical white high top chucks. 14 Bella Thorne Bella wearing optical white high top chucks. 15 Bella Thorne Bella wearing blue and plaid double tongue high top chucks. 16 Bella Thorne Bella wearing optical white high top chucks. Annabella Avery "Bella" Thorne (born October 8, 1997) is an American teen actress, dancer, singer, and model. She is best known for her role as Ruthy Spivey in the TV series My Own Worst Enemy, as Tancy Henrickson in the fourth season of Big Love and as CeCe Jones on the Disney Channel original series Shake It Up. She was also in the 2014 film Blended as Hilary "Larry", alongside Drew Barrymore and Adam Sandler.